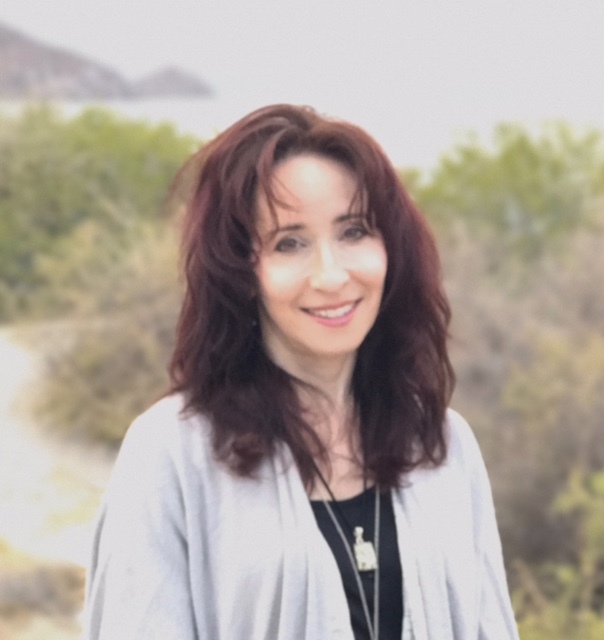 WWB WISE GURU: Elissa Epel, Ph.D is a leading health psychologist who studies stress, aging, and obesity. She is the director of UCSF’s Aging, Metabolism, and Emotions Center and is associate director of the Center for Health and Community. She is a member of the National Academy of Medicine and serves on scientific advisory committees for the National Institutes of Health, and the Mind and Life Institute. She has received awards from Stanford University, the Society of Behavioral Medicine, and the American Psychological Association. 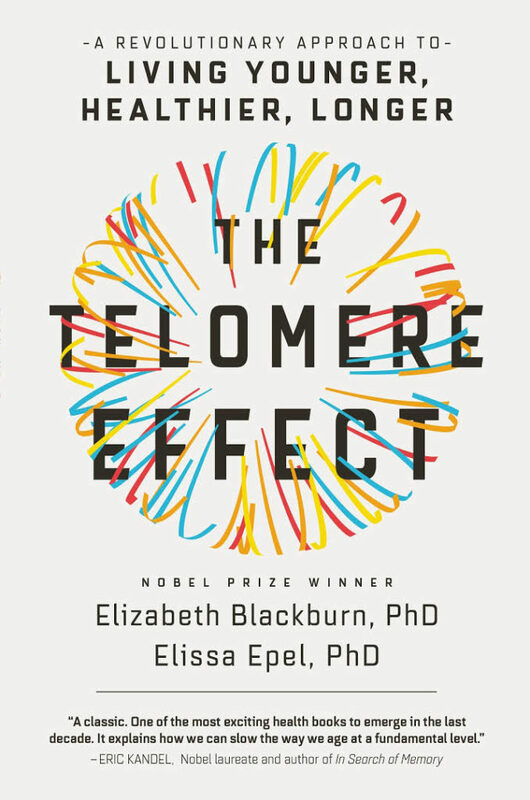 WWB FEATURED BOOK: The Telomere Effect Groundbreaking book by the Nobel Prize Winner who discovered telomeres, telomerase, and their role in the aging process, and the psychologist who researched specific lifestyle habits to protect them and slow down disease and lengthen life. Lauroly Opening: Welcome Dr. Epel to World Wise Beauty. I am so pleased you could join me for this Q&A. This is an important book that will help accelerate wellness culture, and encourage us all to lead healthy lifestyles. It covers the latest scientific discovery about telomeres and your research on how we can protect our telomeres with as your sub-title says, “a revolutionary approach to living younger, healthier and longer.” Who doesn’t want that! But first I have to ask a basic question for my readers, so we can move on to the important ideas in your book. What are telomeres? We have been learning so much about epigenetics in the last few years and now the discovery of ‘telomeres’ takes the science on genes to another level with real world context. Dr. Epel: Telomeres are a tiny part of each cell in our body that play a critical role in how our cells age. They are the caps that protect the ends of chromosomes. They protect our genes from breaks and mutations, and they also allow our cells to go on dividing and replenishing. The problem is that each time our cells divide, the telomeres can shorten, and when they get too short, the DNA can easily become damaged, the cell becomes aged, and, worst of call, it cannot go on dividing. This creates a buildup of old tissue that is pro-inflammatory. 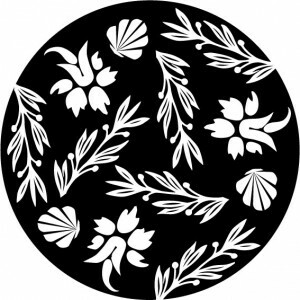 Also, as we age, there is wear and tear to these caps, shortening and damaging them. Lauroly Q- Your study and expertise is focused on how stress damages our telomeres on a cellular level, and the devastating effects it can have on our health and longevity if left unchecked or not managed. FYI for our readers, the book also presents all the positive ways you can stop the damage already done and avoid further damage. When all the research came out about epigenetics I think a lot of people just assumed they were stuck with their lottery of genes. This couldn’t be further from the truth, and this is where your important research comes in. All our lifestyle habits especially related to stress management can contribute to lengthening your telomeres or reducing them. It seems to me that popular quote “It is not what happens you to in life, but what you do with what happens to you” really applies to our telomeres! The fact is we can train our telomeres. One of the ways we can do this is keeping our immune system biologically young. Can you describe direct examples of this? Dr. Epel: Laura, you said it well! We will all experience difficulties in our days, and traumatic events in our lives, and these cannot be avoided. But it is how we view these events in our mind, and manage them, that determines whether an event turns into ‘chronic stress’ in our mind or whether we may end up on the other side of the event even more resilient than before. So we need to focus not on stress ‘reduction’ but stress resilience. We tend to create angst, worry, and rumination with our habitual thought patterns and these can keep our endocrine and nervous system on ‘high’—a vigilant mode that wears us out sooner. Having higher levels of stress hormones, like cortisol and catecholamines, even while we sleep, is associated with shorter telomeres. High quality sleep is also related to longer telomeres, and something we can foster. The little things we do each day can add up to have big effects on telomeres. People who tend to eat more vegetables tend to have longer telomeres ten years later! So we are talking about small little habits during our life that really add up to healthy cell stability later in life when we are typically so vulnerable to diseases of aging. People with longer telomeres are 20% less likely to develop heart disease. Even in young healthy adults, those with shorter telomeres, when experimentally exposed to the cold virus, tend to get more cold infections, with more severe symptoms, more tissues needed (the work of Sheldon Cohen). So it’s not just about doing things now so we don’t get disease of aging later. Experimental studies have shown that programs that last several months tend to give us a boost in telomerase or maintain our telomeres better –that includes aerobic fitness, omega-3 free fatty acid supplements, support groups, meditation programs, or Dean Ornish’s lifestyle integrative program (eg, vegetarian diet, yoga, social support). Lauroly Q- When I read your book, it just solidified for me that lifestyle as medicine is really the ‘secret’ to wellness and longevity. We humans love the idea of ‘secrets’ but the truth is understanding our own bio-individuality and taking good care of ourselves wholistically is all it takes to live well. The blueprints may vary for each of us, but the reliable pillars of wellness hold for all of us. Dr. Epel: We will have different traumatic events happen to us, and some of us will suffer more in life, and some of us are more prone to respond to stress with depression or anxiety. When adverse events happen to us as children, un-tempered by the support or resources we need to cope, it can leave a lasting ‘scar’ in the form of shorter telomeres. But that is not something to harp on, because even with short telomeres it’s how we live our day that can keep them stable through the years going forward. As you said, it is how we react to things, that can make a big difference going forward. We can learn to ‘surf the waves’ more than crash under them. We have habits of mind that we can become aware of. I include quizzes in our Telomere Book to help people see what their stress response style is – how much they see things as ego threats, or how much they ruminate. And also how much they have buffers to stress like optimism or purpose in life. Awareness is a first step. Then there are ways to build our inner resources so we can experience stress as small surfable waves. For those interested, learning meditation can help but that does take time and dedication. Even if you don’t regularly do it, it can help you get to take an introduction course, to know your mind and the habits that can hurt you If you are unaware of them. Any mind-body activities can help with emotional balance. These are often ‘body up’ to mind—the calmness in the body creates a cushion of stress resilience so we don’t have those strong stress reactions. Having strong social support probably creates the biggest cushion. For me, my yoga ‘cushion’ helps me build reserve. Even if you have short telomeres, what matters is how you live this day, and the choices you make each day from here on. Our telomerase, the anti-aging enzyme that protects telomeres, and our telomeres, appear sensitive to many different behaviors (exercise, certain nutrients) and exposures (nature, pollution, certain chemicals). We detail these in the book, and the best way to learn from the book is to choose one or two things from the list of telomere bolsters that matter most to you, that you know you can improve. Lauroly Q- You made so many compelling points about how telomere science offers molecular proof of the importance of societal health (what I call wellness culture) to our well-being. You even suggested in the book that we call for policymakers to add a new phrase ‘Societal stress reduction’ to the vocabulary of public health. You included a Telomere Manifesto at the end of the book. Another (there are so many in this book!) important statement you made is “The foundation for a new understanding of health in our society is not about ‘me’ but ‘we’. Why do you think we miss how important inter-dependency is to our personal health as well as to the survival of our planet? I know that is a big question! Dr. Epel: When we look at solutions to becoming a more compassionate society, arrows point to our culture and education. Our strong culture, and the way we raise and teach children, reinforce the idea we are autonomous and competitive creatures. There are programs starting at early ages that promote better understanding of interdependence, compassion, and of how our mind works that will help make a much needed shift in our culture. Change needs to come both from policy, societal stress reduction policies, and from inside — our minds, our hearts. Why don’t masses of people smoke anymore? It wasn’t just the tobacco tax and policies. It was a change in our beliefs and social norms. We can all start that right now, from within, and in our local networks. We impact those close to us, we impact strangers too. Let’s use our positive impact! If it helps to know that our very cell aging is impacted by our neighborhood’s health, then spread the word and work, to change these together. Lauroly Closing: Excellent answer Dr. Epel! Thank you so much for your groundbreaking research and writing ‘The Telomere Effect‘! It really is two books in one. One for creating a personal blueprint for longevity and wellness and the other for raising awareness about how we can stop the health crisis of the entire planet. The second one is even more urgent as we need a healthy planet to live on! Dr. Epel Closing: Thank you Laura for your wonderful summaries and sharing these messages.